Dentist in Bedford, Edward Byrne Associates. 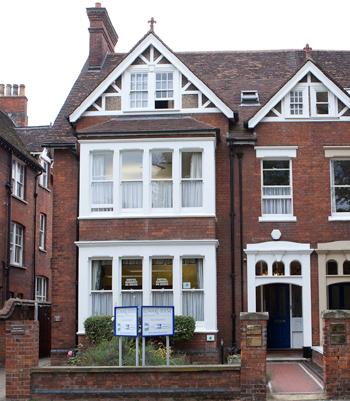 We are a Family Dental Practice in Bedford which aims to give a high level of personal service. The practice was first established in 1932 by Mr. Cyril Ingrouille ( BDS U.Liverpool ) and has a long record of being a caring and professional organisation. Edward Byrne has been in charge of the Bedford dental practice since 1980 and is proud to continue the strong professional tradition established by Mr. Ingrouille. We have four full time dental surgeons, Edward Byrne, Andrew Robertson, Stuart Sumner and Debbie Bell, two dental hygienists, Laura Albone, and Debbie Wakelin together with a team of highly experienced and qualified dental nurses, all sharing the same goal of providing high quality, personal dental care in a relaxing, friendly environment. We also have a team of visiting surgeons who provide specialist oral surgery services such as wisdom tooth removal and dental implants. 16, De Parys Avenue, Bedford, MK40 2TW. U.K.
Site developed and maintained by Edward Byrne. David Court, Middlesex University, for introducing me to HTML. Paul & Ann Anthony for their gift of " HTML 4 for the world wide web " - an excellent book ! The Web Step 2 team at Bedford College. Colin Anthony for his help with form processing scripts.